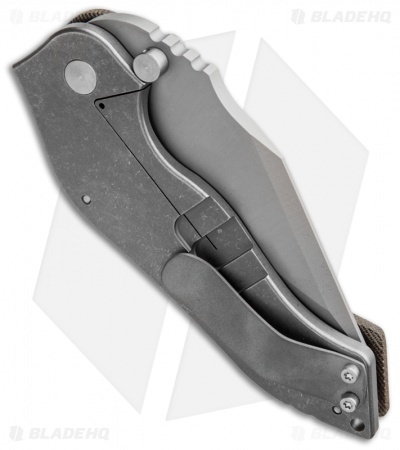 The DMF from Sniper Bladeworks is big, but easy to tame with its user-friendly shape. 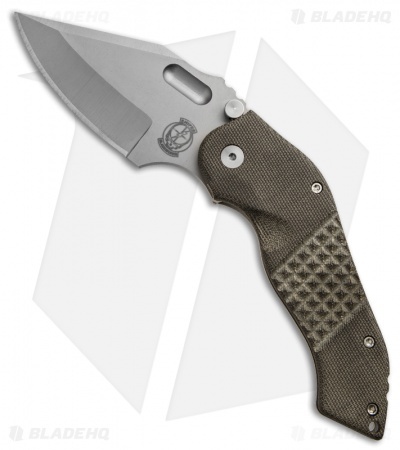 This knife has a matte finished S30V steel blade and a canvas Micarta handle. The titanium framelock is stonewashed, while the pocket clip has a smooth bead blast finish.